Francesco De Giorgio is member at Netherlands Society for Behavioural Biology (NVG), at Italian Society for Veterinary Physiology (SoFiVet) and at International Society for Applied Ethology (ISAE). Francesco De Giorgio is an italian ethologist and applied behaviour researcher, currently living in the Netherlands and working both in Italy as in the Netherlands. He is Guest Lecturer of Equine Cognition in several universities and his special field of research is applied social learning in horses. He is a scientist but also a practical man, having a band of eight horses with his partner in life and work José Maria Schoorl. Baragli P., De Giorgio F., Mariti C., Martelli F., Sighieri C., 2007. Practical consideration on stimuli modulation using a “round pen technique” for horse training . VII Italian Veterinary Physiology Conference. Baragli P., Mariti C., De Giorgio F., Basile C., Sighieri C., 2006. Assessment of the behaviour and haltering work time in young unhandled horses: influence of three different training methods. 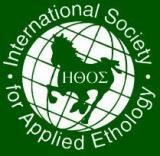 Proceedings of the 2nd International Equitation Science Symposium. Baragli P., Mariti C., De Giorgio F., Sighieri C., 2008. Stimulus` perception in horses: Using Heart Rate (HR) as an appropriate indicator. Proceedings of the 4th International Conference of the International Society for Equitation Science. Mariti C. , Baragli P. , De Giorgio F., Gazzano A., Basile C., Sighieri C. 2007. Influence of training methods on horse behaviour . VII Italian Veterinary Physiology Conference. Baer, K.L., Potter, G.D., Friend, T.H., Beaver, B.V., 1983. Observation effects on learning in horses. Applied Animal Ethology 11, 123-129. Baker, A.E.M., Crawford, B.H., 1986. Observational learning in horses. Applied Animal Behaviour Science 15, 7-13.
representation: Who might know what and why? Behav. Process. 35, 225–237. Clarke, J.V., Nicol, C.J., Jones, R., McGreevy, P.D., 1996. Effects of observational learning on food selection in horses. Appl. Anim. Behav. Sci. 50, 177-184. Clutton-Brock, J., 1981. Domesticated animals, from early times. London: Britisch Museum of Natural History. Devenport, J.A. Patterson, M.R., Devenport, L.D., 2005. Dynamic averaging and foraging decisions in horses (Equus caballus). J. Comp. Psychol. Galef , B.G., 1988. Imitation in animals: history, definition and interpretation of data from the psychological laboratory. In Zentall T.R. and Galef B.G. (Eds. ), Social Learning: Psychological and Biological Perspectives. pp. 3-28. Erlbaum, Hillsdale, N. J.
Hausberger, M., Roche H., Henry S., Visser E.K., 2008. A review of the human-horse relationship. Applied Animal Behaviour Science 109, 1-24. Hare, B., Call, J., Agnetta, B., Tomasello, M., 2000. Chimpanzees know what conspecifics do and do not see. Animal Behaviour 59, 771-758. Hare, B., Call, J., Tomasello, M., 2001. Do chimpanzees know what conspecifics know? Animal Behaviour 61, 139-151. Heyes, C.M., 1994. Social learning in animals: categories and mechanisms. Biol.Rev. 69, 207-231. Heitor, F., Oom, M.M., Vicente, L., 2006a. Social relationships in a herd of Sorraia horses. Part I. Correlates of social dominance and contexts of aggression. Behav. Process. 73, 170–177. Heitor, F., Oom, M.M., Vicente, L., 2006b. 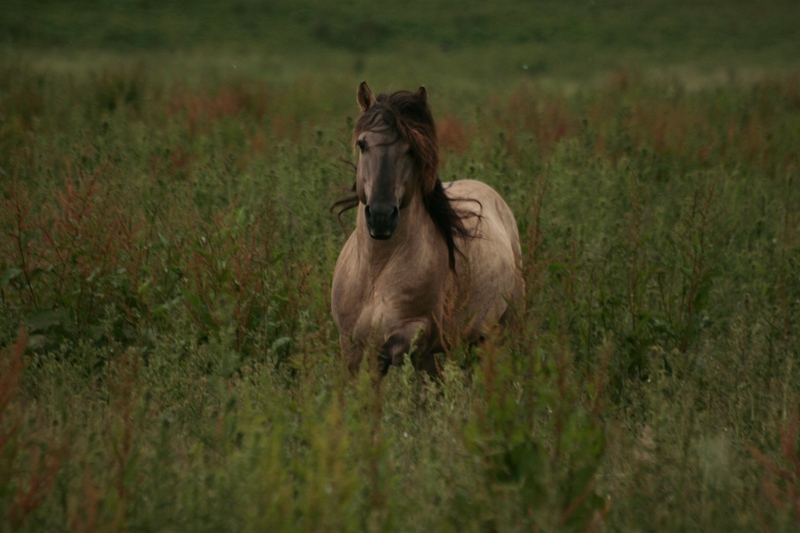 Social relationships in a herd of Sorraia horses. Part II. Factors affecting affiliative relationships and sexual behaviours. Behav. Process. 73, 231–239. Krueger, K., 2006. Behaviour of horses in the ”Round pen technique”. Appl. Anim. Behav. Sci. in press. Murphy, J., Arkins, S., 2006. Equine Learning Behaviour. Behavioural Processes in press. Nicol, C.J., 1996. Farm animal cognition. Journal of Animal Sience 62, 375-391. Nicol, C J., 2002. Equine learning: progress and suggestions for future research. Appl. Anim. Behav. Sci. 78, 193-208. Reed, P., Skiera , F., Adams, L., Heyes, C.M., 1996. Effects of Isolation Rearing and Mirror Exposure on Social and Asocial Discrimination Performance. Learning and Motivation 27, 113–129. Rivera, E., Benjamin, S., Nielsen, B., Shelle, J. & Zanella, A. J. 2002. Behavioral and physiological responses of horses to initial training: the comparison between pastured versus stalled horses. Appl. Anim. Behav. Sci. 78, 235-252. Shettleworth, S.J., 2001. Animal cognition and animal behaviour. Anim. Behav. 61, 277–286. Sondergaard, E., Ladewig, J., 2004. Group housing exerts a positive effect on the behaviour of young horses during training. Appl. Anim. Behav. Sci. 87, 105-118.